A guitar custom painted by local artist Michael “Hap” Hapner and signed by rock-n-roll legend Peter Frampton will be raffled off at the 13th annual Wabash Cannonball Chili for Charity Chili Cook-off. The event will be Saturday, Oct. 17, at the Paradise Spring Historical Park. Cooking begins shortly after 8 p.m., and tasting will begin at noon. Hapner, who has donated a fiddle signed by Charlie Daniels and a guitar signed by the rock band The Moody Blues in the past, said it took him 26 straight hours to paint the guitar. 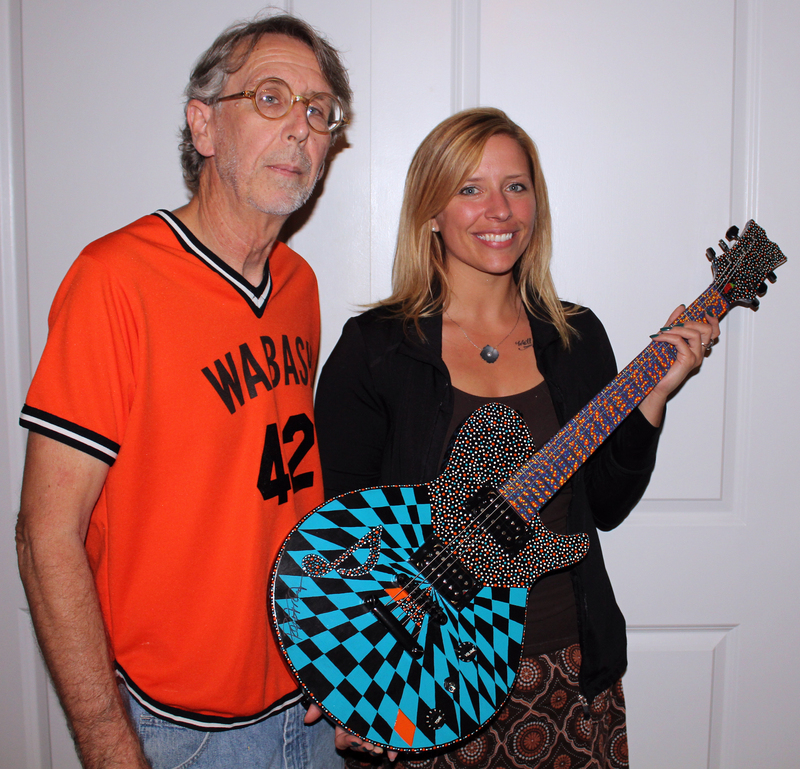 “I had something in mind (for the pattern) on this one,” he told The Paper of Wabash County after presenting the guitar to the Chili Cook-off committee on Thursday night. Some 400 bicycle enthusiasts, some as from as far away at Virginia, are expected to descend on Wabash County this weekend for the annual Dam to Dam Wabash County Century Ride. 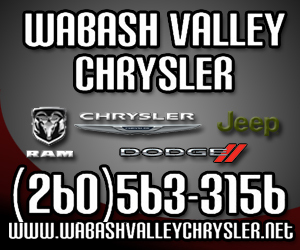 Riders will leave the Wabash County YMCA between 7:30 and 8:30 a.m. Sunday, Sept. 13, to travel one of five routes available. The routes are 100 miles, 62 miles (or a metric century), 50 miles (a half century), 30 miles and 15 miles. 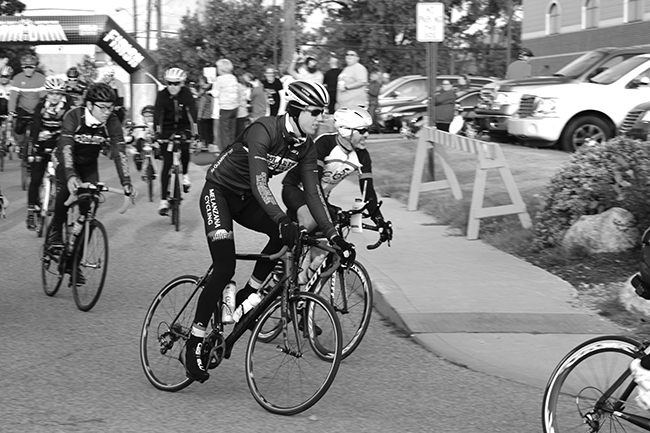 As of midweek last week, more than 320 people had preregistered for the event, presented by Parkview Wabash Hospital and organized by the Rock City Bicycle Club and Visit Wabash County. ROANN – The community is off to the races and donning checkered flags in preparation of its four-day jamboree, the Roann Covered Bridge Festival, which begins Thursday Sept. 10. 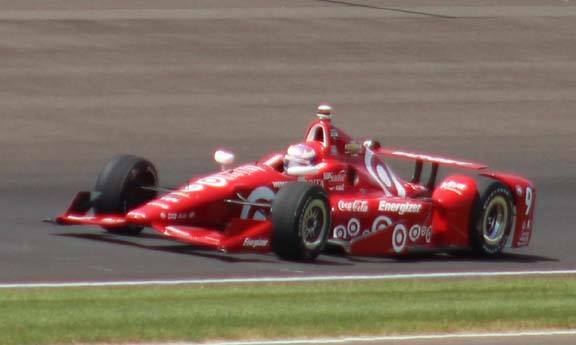 This year, the festival’s theme will be “Racin’ to Roann” and featuring the Target/Chip Ganassi racecar, driven by 2015 Verizon IndyCar Champion Scott Dixon, as the main attraction, according to Donna Harman, event coordinator. The opportunity to feature the champion racecar arose thanks to Rick Morris, one of the new festival committee members, Harman said. The Wabash Rotary Club’s 24th annual United Fund kick-off golf outing will take place Sept. 16 at the Honeywell Golf Course. The outing will begin with lunch at noon hosted by Miller's Merry Manor, followed by a shotgun start at 1 p.m. This year's hole-in-one sponsors are Dorais Chevrolet, Buick, GMC and Brandt's Harley-Davidson with insurance coverage provided by INGUARD. 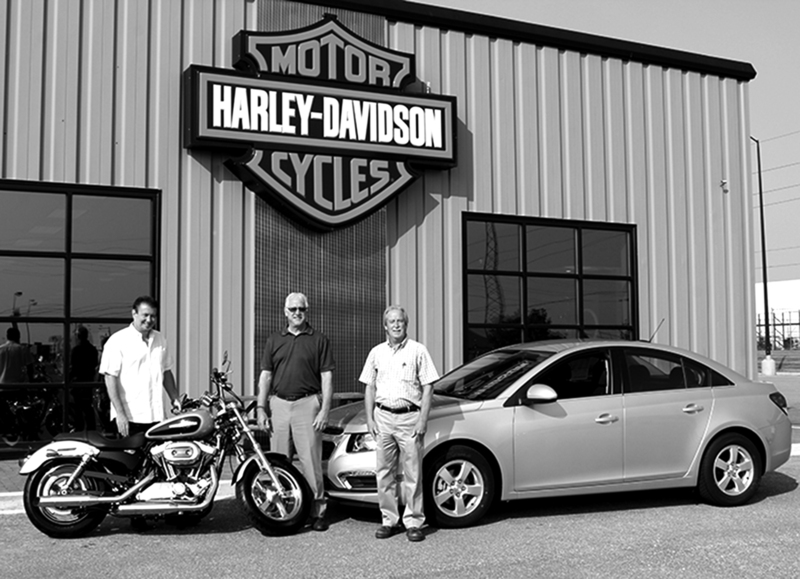 Brandt’s is offering a 2015 1200 Custom Sportster, while Dorais is offering a 2016 Chevy Cruze. It was standing room only during Wednesday’s public hearing at the North Manchester Public Safety Complex, as the Town’s Redevelopment Commission (RDC) received input from residents regarding the proposed purchase of 92 acres, located north of 9th Street from the railroad tracks west to SR 13, for a potential housing development. The RDC and the Town Council both approved resolutions giving the green light to the project. For more than 25 years, various discussions have been held throughout North Manchester about the need for a housing development, according to a recent news release issued by Town officials. The main reasons nothing has been able to be accomplished thus far are identified as the unavailability of land in a large enough quantity, and the lack of interest from developers unless land became available. After 37 years as Wabash Park Department superintendent, Todd Titus is retiring at the end of this year. However, his retirement doesn’t mean an end to his public service. Rather, Wabash County Commissioners appointed Titus on Aug. 31 to serve as the county’s weights and measures inspector. “I’ve been contemplating retirement for probably the last year or so,” he told The Paper of Wabash County. “I think my age and years of service makes that a realistic option. I think the missing piece was what would I do if I retired? A home at 52 Berry St. was ordered demolished by the Wabash Board of Works & Public Safety. The home’s owners, Rick and Barbara Nelson, were ordered to have the home down within the next 30 days. If it isn’t torn down, the city will put into motion actions to tear it down. Building Commissioner John Stephens said he has inspected the building several times, most recently on the morning of the unsafe building hearing, Sept. 2. 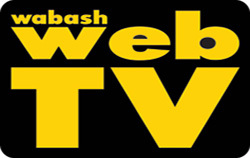 The City of Wabash will conduct fall clean up from Sept. 14-18, City Street Superintendent Scott Richardson announced. As usual, pick-up will be divided into four sections, following the same route as weekly trash. Items for pick-up need to be in place by 7 a.m. on the day of pick-up or the items will not be picked up. Piles of items for pick-up can be no larger than 4-feet by 8-feet. Also, items for pick-up have to be separate from brush piles. Brush will not be picked up the week of fall cleanup.